Farmeasy produce a wide range of kits and accessories for ATV’s and UTV’s. Click on any one of the above buttons or ATV brand logo’s to navigate straight to the kit required. 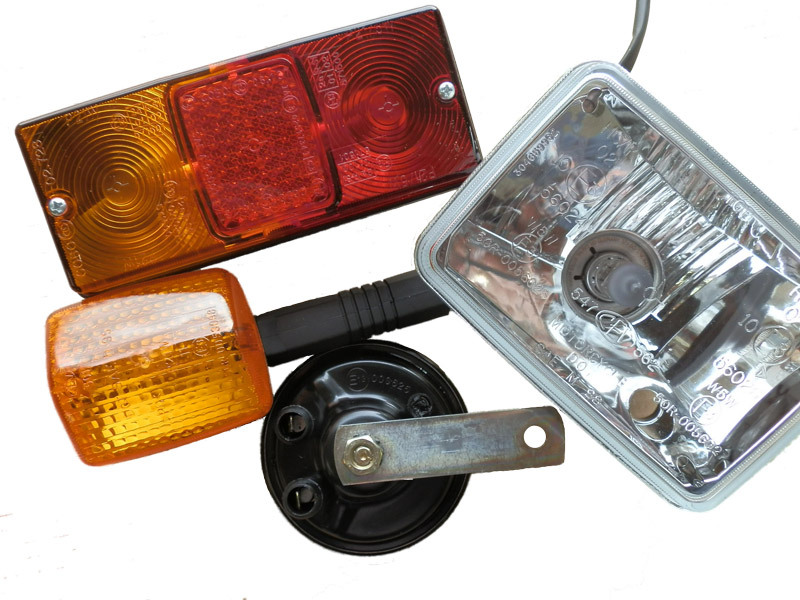 Only lights and other components with compliance and/or ‘E’ marks moulded into the lenses or housings may be considered as approved and therefore suitable for use legally on vehicles used on the highway. Examples of these markings are shown on the following picture.